I'd like to try something that I could also carry with myself to gigs and so on. Most people that I know in here goes with Microkorg. It is not bad, but I don't want to have an orchestra of microkorgs in Lithuania, so maybe you know other names worth checking? Edit: I want it to be with keyboard. preferably not 100% digital, but it's ok to check out too. For me, small synths are for live and to "whatever bbbzzzzz qualifies" moments. For interesting and really good sounds, I don't think there is very versatile synths? Korg monotron and microcon are just the type of things when you need just high pitched electronic tone/pulse. But options are very very limited. Especially monotron is ridiculously small and cheap. More like toy. If you got the money to spent get a MS-10, just got one myself some weeks ago. Without a doubt my best gear purchase ever. Pretty lightweight, and a carrying case shouldn't be impossible to find. For me, small synths are for live and to "whatever bbbzzzzz qualifies" moments. the first case I think would be the usual one. As for me - I cannot carry around synths that weights 25+ kilos and so on so I was thinking why not play around with some smaller stuff. Novation Bass Station seems truly nice. And here's a link in case anyone wants more titles, but there are only them, almost without any comments. The problem I have will all the new "mass produced" new range of electronic synths is the sound pallets are very similar to each other, I instantly loose interest when I hear a kaoss pad or those mono matchboxes...All the circuit bent stuff sounds crap too like angry chickens...My advice save you cash by a real synth...then buy a flightcase ! real men gig with with loads of kit! Novation Bass Station seems truly nice. Other interesting synths could be some of the start/mid 80s Korgs. Poly 800/800MkII or maybe DW6000/8000 Especially the Poly can be modded quite cheap. For some truly noise results. 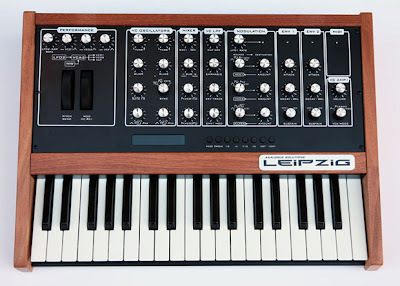 I don't suggest going digital but have you ever played with a "soft synth"? I have a handful of the more expensive VST or standalone products that are cracked and virri free if you need. I'm not a person who knows a whole lot about analog synths so take what I say with a grain of salt but I have had a lot of fun with the Novation Ultranova 37-key Analog Modeling Synthesizer and the Access Virus TI2 Polar Integrated Modeling Synth, the latter is pretty expensive going at about $3,000 USD. I used to own a MINIAK, to my ears it isn't a bad compact synth, but I do know a lot of people who either don't like it or just don't care to try it. Has anyone here used the Yamaha Tenori-on or TNR-O Orange creation devices made by Toshio Iwai? Very ugly but they seem to have good effect from what I have heard on some videos. Korg DW8000 was the first synth I ever bought. It was far from small but maybe I had a different model. "Prey" was recorded with it & probably "Piece-Meal Dissection" too (plus Casio sampler). The Technosauraus Microcon is the size of a vhs tape so perfect size. If it has white noise, I'd be keeping it. BEst to use a distortion pedal with it to give it a stronger sound. I'd like to play with that Access Virus desktop synth. Always thought they looked cool. I'd love to have a synth about the size of a hardcover book with all the usual stuff plus white/pink noise knobs along with white/pink noise outputs & an input with mix knob... I don't care if it's analog or digital as long as it works well. Yeah, if you can do without the keys there's a whole new world of possibilities. Dark Energy is maybe the prime example of a extremely versatile and aggressive synth to bring just about anywhere. I'm in no way against DigiControlled Oscillators and the likes but an all out AM/VA just won't give you the sounds/options of an analog machine. noise out's exists as far as I'm aware only on synths or more or less analog nature. Please correct me if I'm wrong. Poly800/DW6/8000 Isn't exactly small but they weight next to nothing and would fit most standard flightcases? BTW, I always wondered about this one?